Any Real Estate agent knows that work life can get pretty chaotic. The popularity of property in this region means that there is a vast amount of competition for those working in Real Estate here. As is the case in any competitive industry, your game needs to be polished. Another thing busy Real Estate agents know is that having fabulous properties on your books does not guarantee of success. A successful Real Estate agent is that because they are organized and efficient; their customers know that they can rely on them. This is a tough balance to strike when you have an endless to do list that requires you to be in three places at once – on most days! This is why quality CRM for Real Estate agents is pure gold. 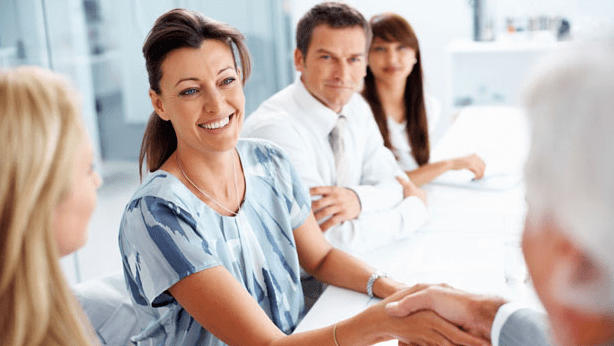 Customer Relationship Management is crucial, in fact; your competitors are clamouring to sign the exact same clients to their books as you are, so what do you have that will make the client want to work with you instead? Your tool kit! Having the ultimate tools will make the probability of the best possible product more likely. CRM software is a Real Estate agent’s complete tool kit, but the quality of the software is paramount. There have been a few options for Real Estate agents over the years, but most agents would admit that they have left a lot to be desired. With fundamental flaws and missing components, many of these software options were unreliable… and that translates to an unreliable Real Estate agency, from the client’s point of view. 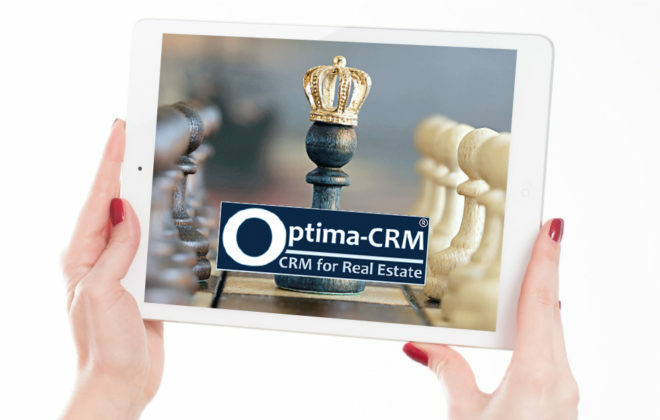 When we created Optima-CRM, we did so with the missing elements in mind. Having already integrated more than ten property systems in our time, we were able to fine-tune this product to make it capable of molding itself to the requirements of any user. With our vast knowledge of the Real Estate industry, we knew what was needed. There has been no stone left unturned in the creation of this Real Estate CRM tool. There is nothing it can’t do to enhance your business; this is so because we brought together everything that worked well, and introduced everything that was missing. Among the missing elements was website integration and search engine positioning. SEO is as necessary for Real Estate as it any other industry, so to have software with superior SEO functions that make this easy for you is extremely useful. With Optima-CRM, you can now define unique SEO content that allows you to position your properties uniquely for search engines, giving you the edge over competitors. Optima-CRM is also a slick management tool for the agency to run the business and organize your teams meticulously. Meetings, appointments, projects, tasks, admin and sales and rental management have never been easier. Holiday rentals management is even covered in our software. What’s more… all of this can be done in whatever language is necessary! You may be pleased to hear that you can set very specific preferences and program the software to interact with your website and other technologies. 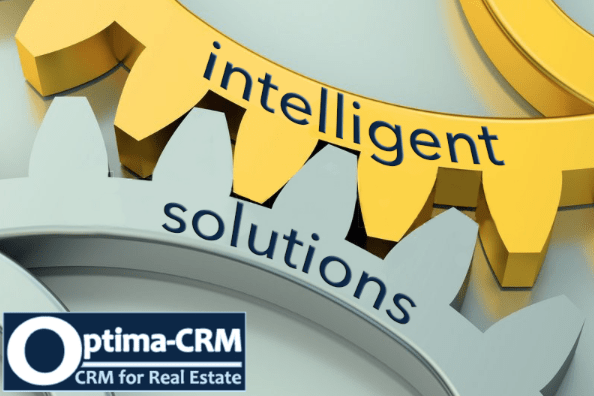 Consolidation and integration are two key factors that Optima-CRM offers your agency. Now you can automatically integrate your properties by pulling them in from various sources and systems, streamlining your operations. Real Estate agents can also now share their Multi Listing Systems with other agencies, import and export data to property portals… and much more. In other words, you have total control, finally. How refreshing! How does all this benefit your business? Pragmatism is the word. There will be no more missed appointments, no more missing records, or miscommunications among your staff... poor SEO positioning will be a thing of the past, as will accidental sharing, software crashes and failing systems integration. With Optima-CRM, you can kiss goodbye to those irritating bugbears once and for all. There is a lot to be said for ironing out such creases. Your working days can become streamlined, efficient and enjoyable… instead of than a merry-go-round of hassle, stress and chaos that many busy Real Estate agents seem stuck on. Ultimately, your interest will lie in more sales and a better reputation with your clients. Optima-CRM facilitates these things, and fast. 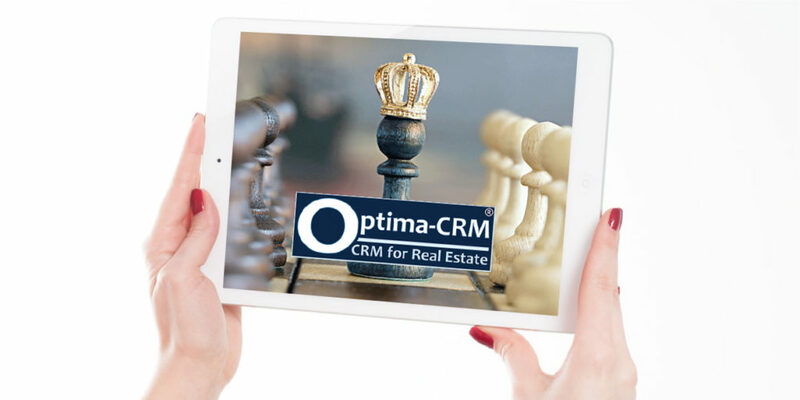 In a nutshell, Optima-CRM is an entirely practical (and surprisingly affordable) piece of kit; it’s the CRM you have been waiting for - we guarantee it. Don’t just take our word for it though… ask us for a demo.